Besides publishing for digital media such as my own blog, my first article (a column) for printed press is also a fact. 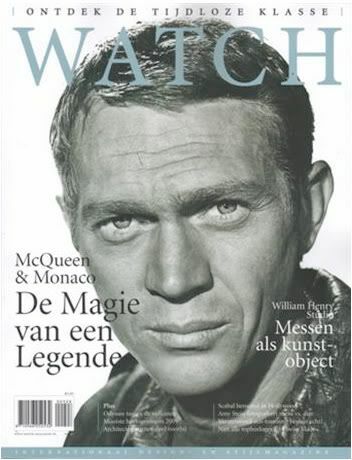 WATCH, a Dutch magazine about watches, dining, men’s fashion, cars, traveling (ergo: “the finer things in life” :)). It is written in Dutch, and I have no translation of it (yet). This one page column is about the watch industry and their conservative – in general -?Ç¬? attitude with respect to e-commerce solutions, how this enables e-business for the grey market dealers and ofcourse about letting the consumer decide whether they want to buy from a bricks and mortar authorised dealer or the webshop of this very same authorised dealer. Anyway, if you are able to read Dutch, check it out and do not hesitate to give me some feedback. You can order the magazine on-line at the AKO kiosk (in Dutch), with next day delivery if ordered before 15:00.